Buy High efficiency Wheat separator , Soybeans screen /Grain sieving machine made in China - Shandong Microwave Machinery Co.,Ltd. High efficiency Wheat separator , Soybeans screen /Grain sieving machine made in China from Shandong Microwave Machinery Co.,Ltd. Shandong Microwave Machinery Co.,Ltd. provide high-performance testing over a wide range of applications of High efficiency Wheat separator , Soybeans screen /Grain sieving machine made in China. From prototyping to durability testing to product component screening, the Shandong Microwave Machinery Co.,Ltd. High efficiency Wheat separator , Soybeans screen /Grain sieving machine made in Chinaproduct is designed to meet quality standards while offering flexibility, uniformity, and control accuracy for cost-effective testing. 1. The grain sieving machine is used to clean the grain, corns, beans, peanuts, wheat and so on from stone, dust, impurity or bad ones. 2. 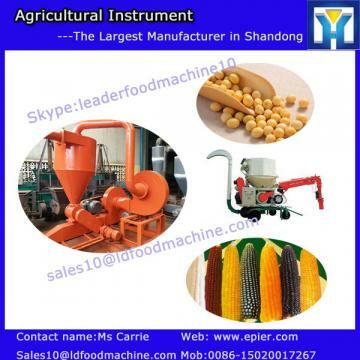 The grain sieving machine is high efficiency and easy to operate. 3. Stable construction and durable material. 4. Two or three sieving screen used in the grain sieving machine to keep it high efficiency. Shandong Microwave Machinery Co.,Ltd.is a Agricultural Instrument factory specializing in the production of High efficiency Wheat separator , Soybeans screen /Grain sieving machine made in China, scientific research,manufacturing,installation, commissioning.Shandong Microwave Machinery Co.,Ltd.can provide Agricultural Instrumentcustomers with design and services of 1-2000 tons high efficiency wheat separator , soybeans screen /grain sieving machine made in china. Shandong Microwave Machinery Co.,Ltd. have finished hundreds of successful projects Agricultural Instrumentover the years: peanut oil, soybean oil, rapeseed oil, cottonseed oil, sunflower oil, sesame oil, animal oil,grape seed oil, acer truncatum oil, peony seed oil, walnut oil, hemp seed oil, pine oil, tea seed oil, papaya oil, milk thistle seed, and other special type Agricultural Instrumentoil. Shandong Microwave Machinery Co.,Ltd. have independent import and export department. Shandong Microwave Machinery Co.,Ltd. Agricultural Instrumentequipment has been successfully exported to more than ten countries: Russia, Australia, India, Afghanistan, Cameroon,and so on.